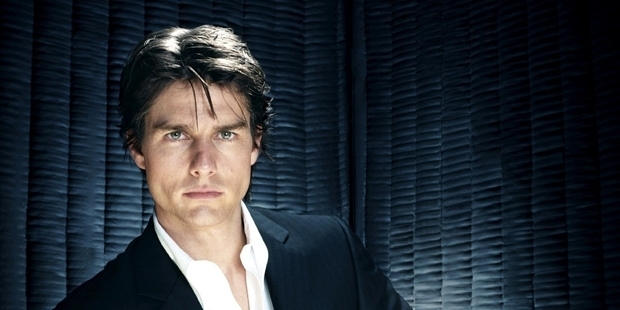 Considered one of the world's biggest movie stars, Tom Cruise never aspired to be an actor. A sports star at his high school, Cruise played football on the local team as a linebacker, and was a star in the school's field hockey team. His classmates pegged him as a future sports star, and the future acting legend spent most of his free time practicing sports and occasionally acting in school productions. The obsession with sports, however, wasn't so much a passion of Cruise's as much as it was a form of escape from an abusive and dangerous father. As a young child in a New York home, Cruise was intimidated and bullied constantly by his father. He recalled being beaten and threatened as a child, and grew to fear his father early in his life. 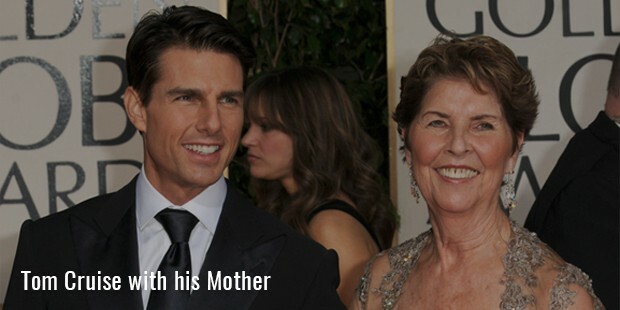 As he grew older, Cruise's mother grew more wary of her husband. The family lived in a state that could only be described as poverty, and his mother finally saw her chance to escape. 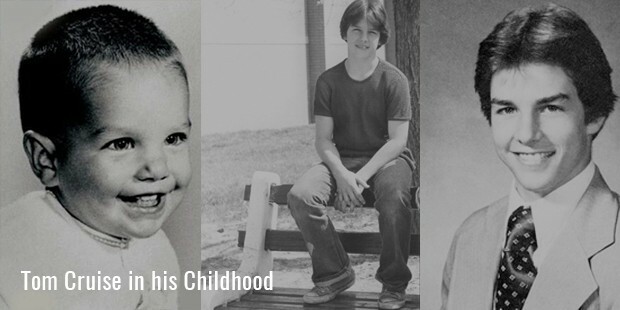 They moved to live with Cruise's grandparents in Canada and later to Cincinnati, where Cruise played football on the local team and grew close to Catholic groups for support for his abusive childhood. Cruise began his acting career with no savings and a desperate need to find something that truly stimulated him. He took on bit parts throughout the early 1980s, occasionally reading a line and rarely shining. 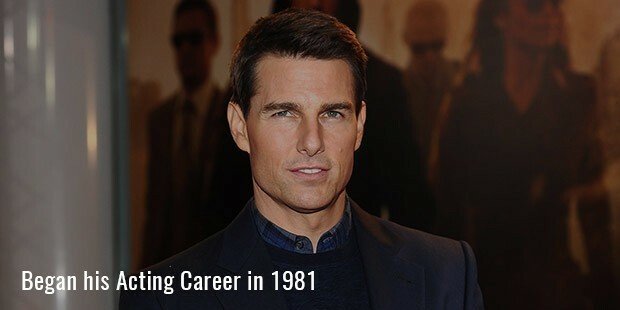 However, his career took a turn for the better when he was cast in Risky Business, and later in classic movies of the era like Top Gun and Rain Man. In the 1990s, he progressed from budding star to international superstar, starring as Ethan Hunt in the commercially successful Mission Impossible series. On top of his game and constantly in front of the cameras, he followed up with critically acclaimed performances in Eyes Wide Shut, the final film of auteur Stanley Kubrick, and the equally acclaimed Magnolia. At the peak of his fame, Cruise's public image changed dramatically when his bizarre beliefs went from being relatively private to being a very public part of his image. His rigid adherence to Church of Scientology teachings and his obsession with anti-medicine made him a target for ridicule, while his unusual 'jump the couch' incident fueled gay rumors and certainly made him look unusual. However, Cruise took the criticism in stride, maintaining his beliefs and cementing himself as one of the industry's most bankable and reliable stars. His films continued to perform well, and he took it upon himself to expand from acting into finance and production. He negotiated new deals for his own DVD roles, and grew into one of the industry's most wealthy individuals through savvy deals. Today, Cruise remains a bankable star, showing his true value as an actor and reversing the 'damage' that his controversial beliefs may have caused. From his intensity to his focus, Cruise's work ethic, his immense belief in himself, and his unstoppable ambition have made him one of the world's most recognized actors, and certainly one of its biggest stars.